Tune in each week, as mental game coach Jared Tendler take the airwaves to help listeners strengthen this critical part of their game. A wide range of interesting guests have been on the show, including high stakes players Phil Hellmuth, Lex Veldhuis, Phil Galfond, and Gavin Griffin. Listeners are invited to submit questions and have their mental game problems solved live-on-air. The goal is to make the show fun and entertaining, while also helping you to be mentally stronger at the tables. 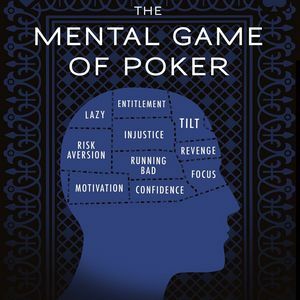 My guest today on The Mental Game of Poker Podcast needs no introduction. Daniel Negreanu is one of the most famous and most successful poker players on the planet. It is always interesting to delve into the mind of an elite performer, but I am particularly interested in Daniel because in recent years he has made a public commitment to self-improvement. This seemingly has had a big positive correlation with his poker results. This is perhaps the most self-help focused podcast I have done, and we discuss his approach to learning and how he opens himself up to feedback, the importance of taking personal responsibility and not falling into a victim mentality, and how setting goals has been crucial to his poker success. In particular I think you will learn a lot from our discussion about positive thinking. Daniel and I have different perspectives but we still found common ground.